Please read the description, bullet points to make sure this is the product is for you. The One S1 is not for everyone. Yes, we just said that! It is for you though because you’re bold and love a challenge. You look to try new things, be different and turn heads. You’ve got things to do and you need to get to where you’re going quickly and in style. Why give the One S1 a shot? Because you’re an adventurer and the One S1 is functional — and insanely fun too. 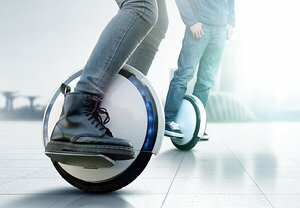 Also, it was developed by Segway, the world’s leading designer of personal transportation products. 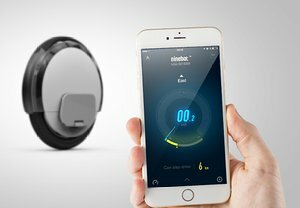 Go to the Apple App Store or the Google Play Store, download the 'Ninebot' App and pair it with your One S1. The New Rider Tutorials lead you through the steps of learning to ride. After you have some riding experience, you’ll be cruising around at up to 12.5 mph. You can also control your One S1’s safety features, monitor speed, customize light colors/patterns and more via the App.